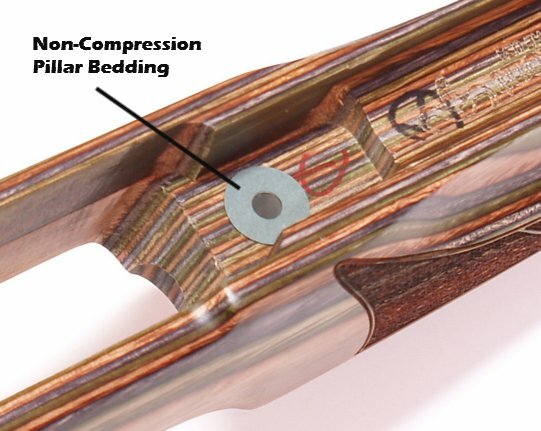 A versatile, ambidextrous laminated stock for the Ruger 10/22. The Vantage RS Stock features a factory installed non-compression pillar bedding system for enhanced accuracy potential. Carefully engineered to work with the barrels harmonics, the Vantage RS is designed to fit 10/22 style actions with .920" diameter barrels and is perfectly inlet on CNC machines. The comb and forend heights were designed to give the shooter a superior line of sight for rifle scopes. Main Features: Hardwood Laminate Construction; Dimensioned for Scope Sights; Pillar Bedded for Accuracy; Front and Rear Swivel Studs. 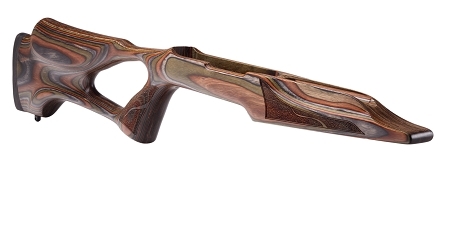 See more stocks and accessories at our Ruger 10/22 Home Page! Precision inletting, excellent materials and fantastic ergonomics. It also looks great.